The American Heart Association is raising awareness about your heart health this month. According to a new report, nearly half of American adults are impacted by some type of heart disease. For a long time, heart disease was considered a man’s disease… but that perception is changing and for good reason. Heart disease and stroke cause one in three deaths among women each year. 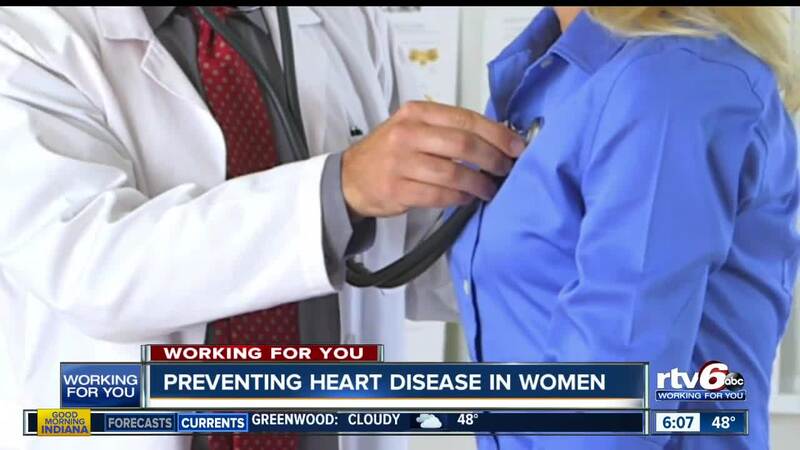 While the symptoms of a heart attack in women and men are often similar, like chest discomfort and shortness of breath, Doctor Mary Norine Walsh says there are some major differences. “Compared to men, women can also present with heart disease with symptoms that are also related to some abdominal or back pain so sometimes can be mistaken for other problems,” said Walsh. Dr. Walsh is the Medical Director of Heart Failure and Cardiac Transplantation at St. Vincent. She says one of the reasons heart disease was traditionally considered to have a greater impact on men is because it generally presents later in life in women. About 80% of cardiovascular diseases are preventable and there are some lifestyle choices women can make to minimize their risk of heart disease. Dr. Walsh says the Go Red for Women Campaign has made a huge difference in bringing awareness to heart disease in women. “With the Go red campaign women themselves have become much more aware of these symptoms and we have seen that they take action more frequently now,” said Walsh.